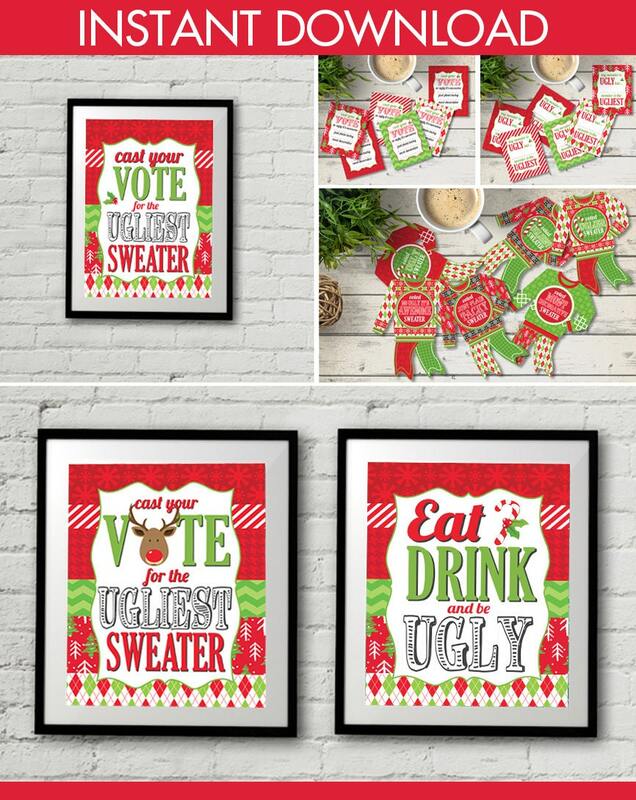 (¸.·´This Fun Ugly Sweater Party Voting Kit by SimplyEverydayMe consists of 6 INSTANT DOWNLOAD PDFs including: Voting Signs (8"x10" and 5"x7") ★ Voting Ballots (for ugly sweater, uglier sweater, ugliest sweater, most decorated sweater, just plain tacky sweater, so ugly it's awesome sweater) ★ Award Ribbons (for ugly sweater, uglier sweater, ugliest sweater, most decorated sweater, just plain tacky sweater, so ugly it's awesome sweater) ★ Plus Information for materials need & paper suggestions. 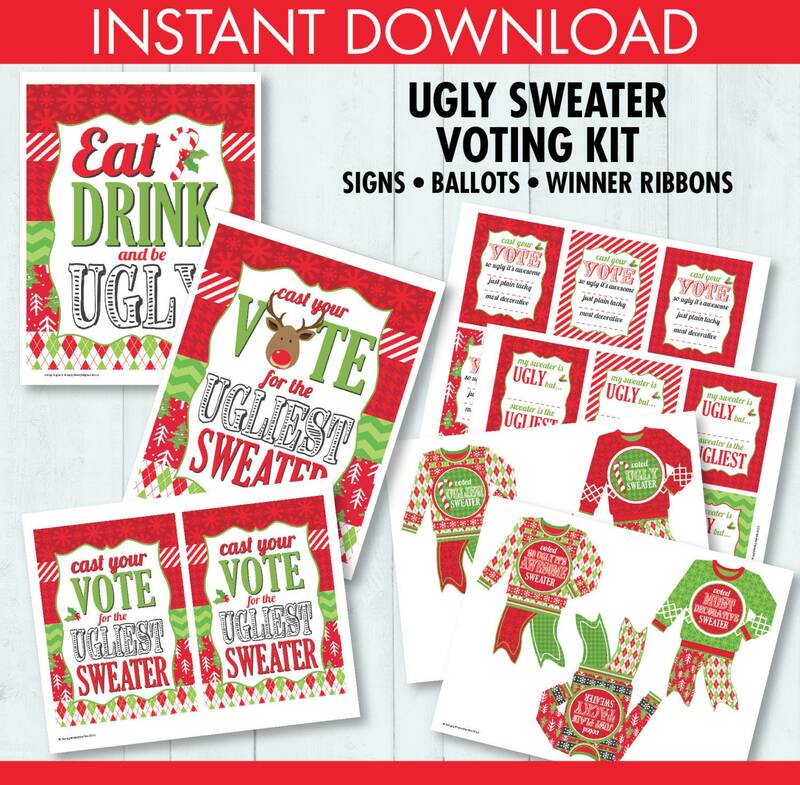 Celebrate your Ugly Sweater Party with these fun Ugly Christmas Sweater Voting, Ballots & Award Ribbons. They add some laughs to your party... an office party... plus they make a great holiday party or hostess gift!!!! The perfect addition to any Christmas Ugly Sweater Party! Great colors and was perfect for our party! !